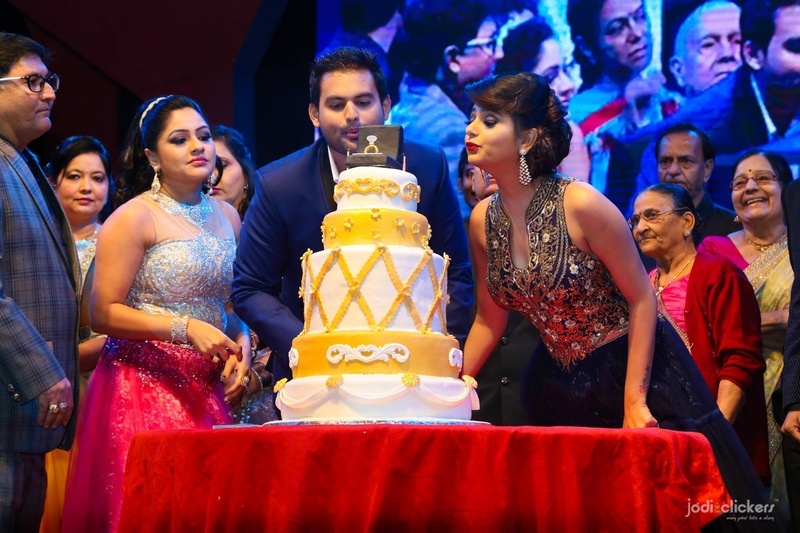 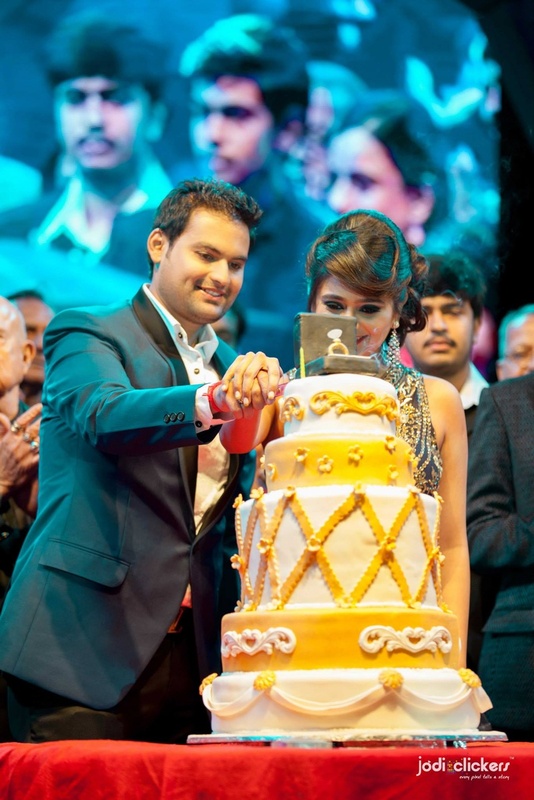 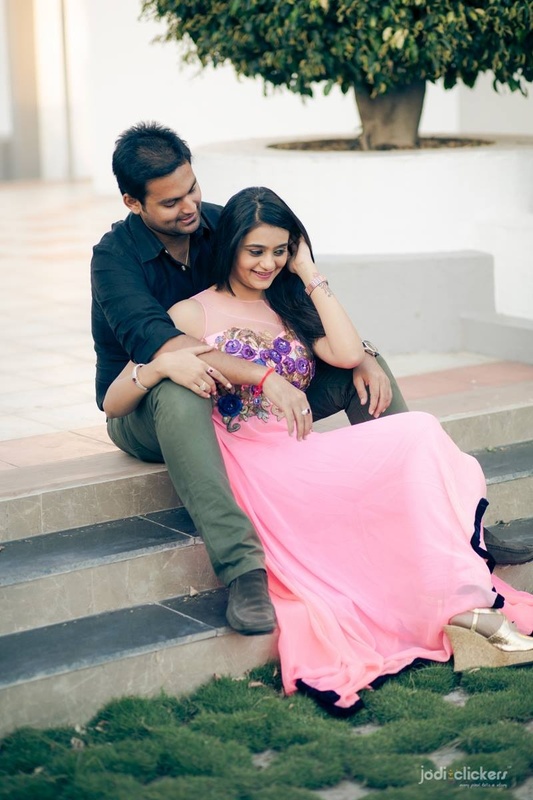 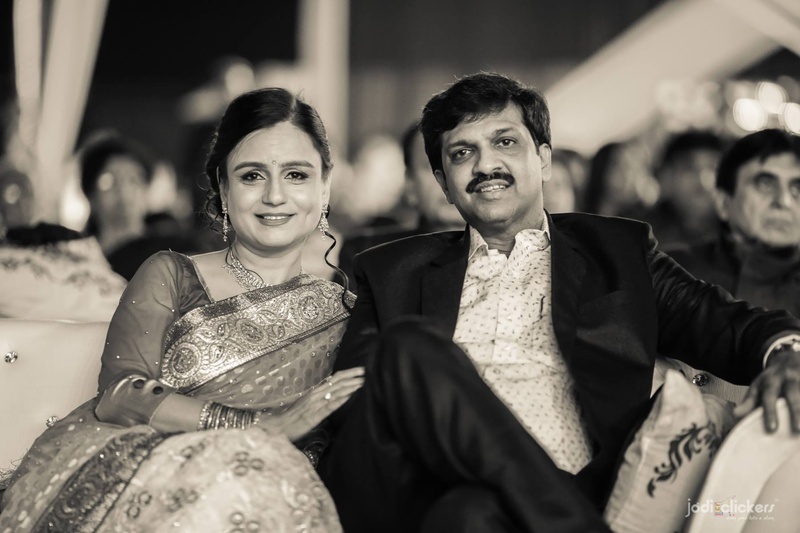 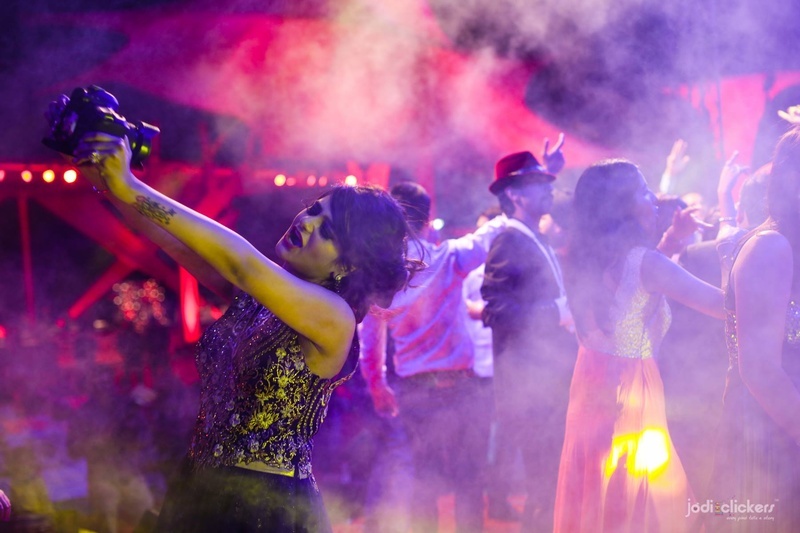 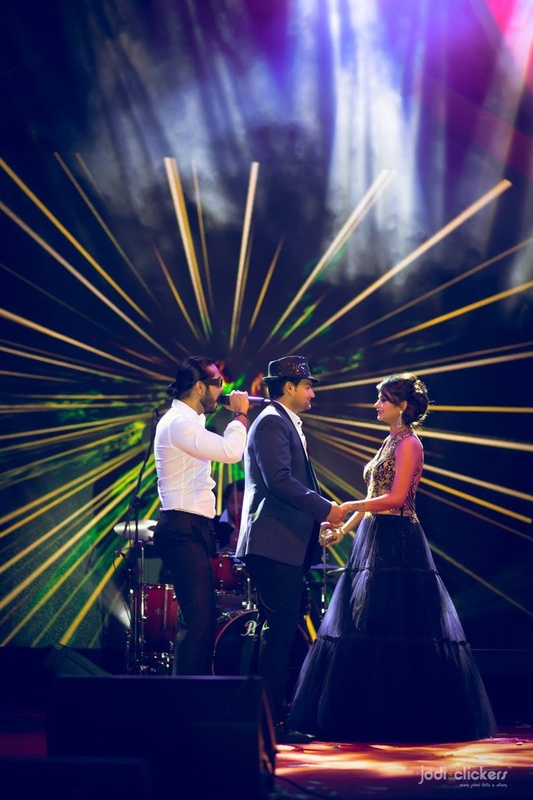 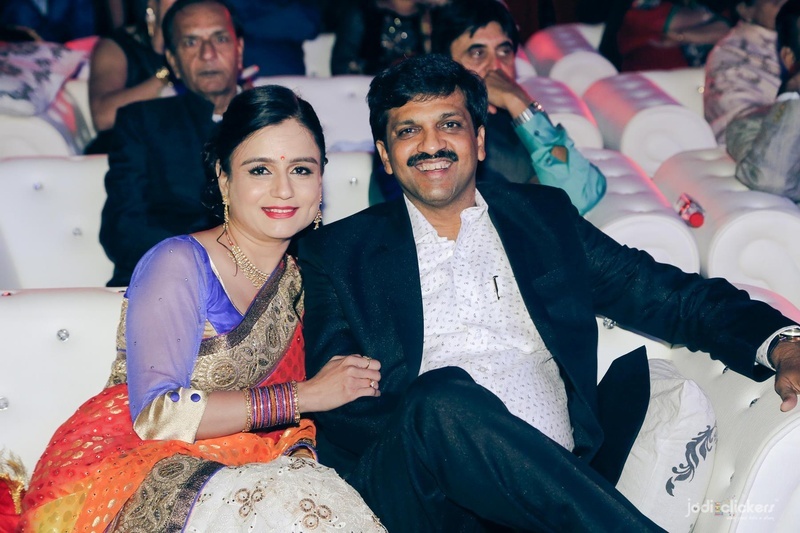 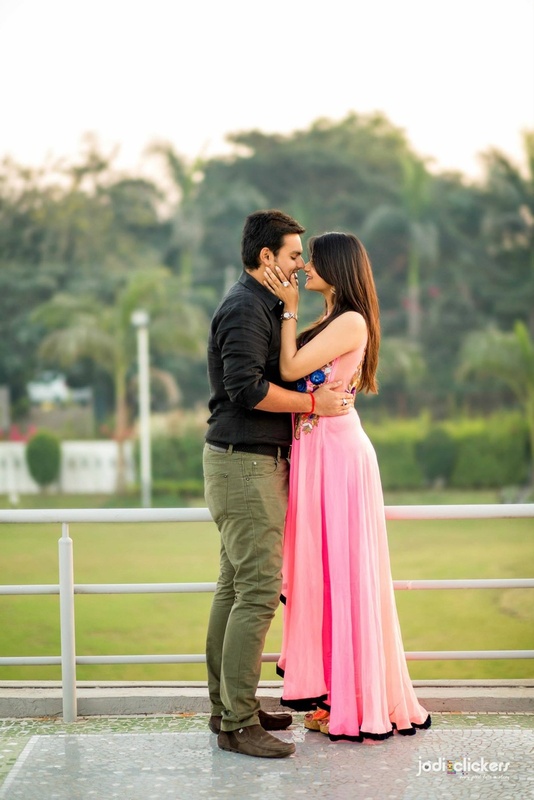 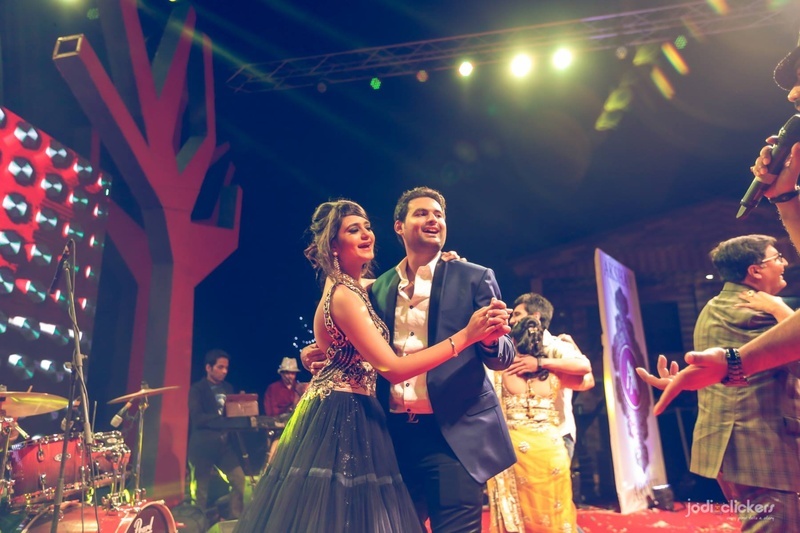 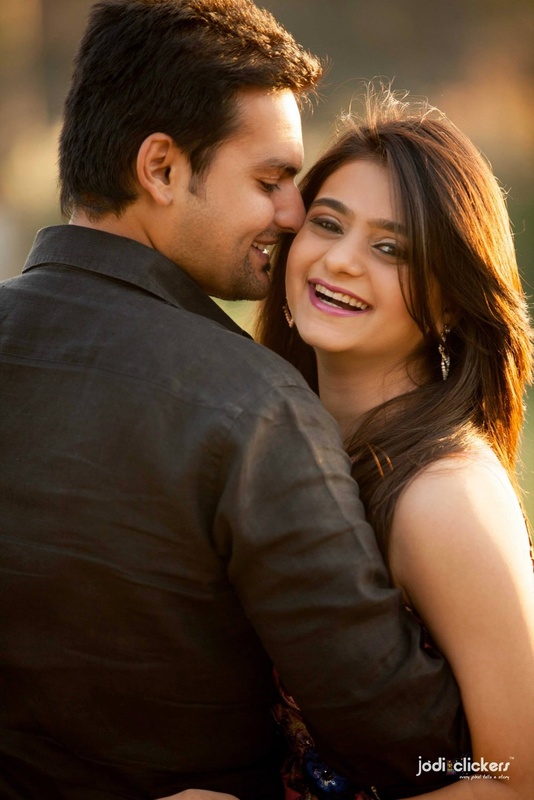 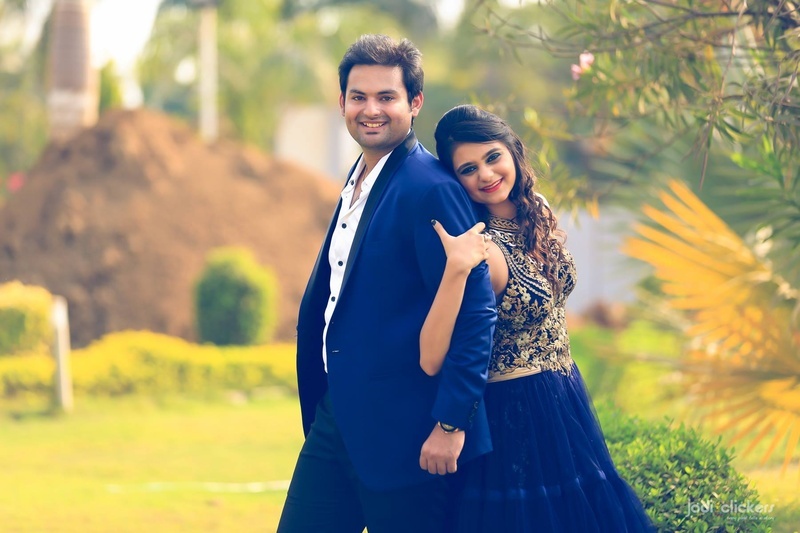 Akshay and Aarohi’s engagement ceremony held at 72 Villa, Surat was all things extravagant and then some. 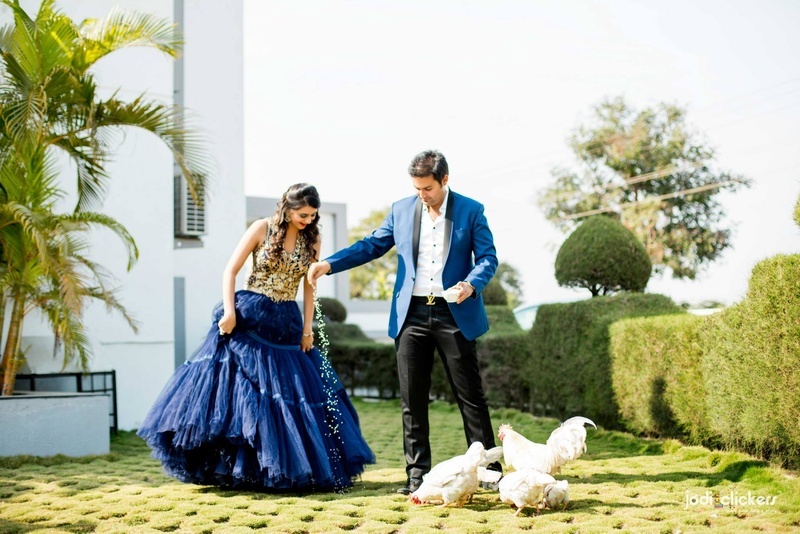 A pinterest-worthy engagement cake, gorgeous clothes and décor that left us mesmerized! 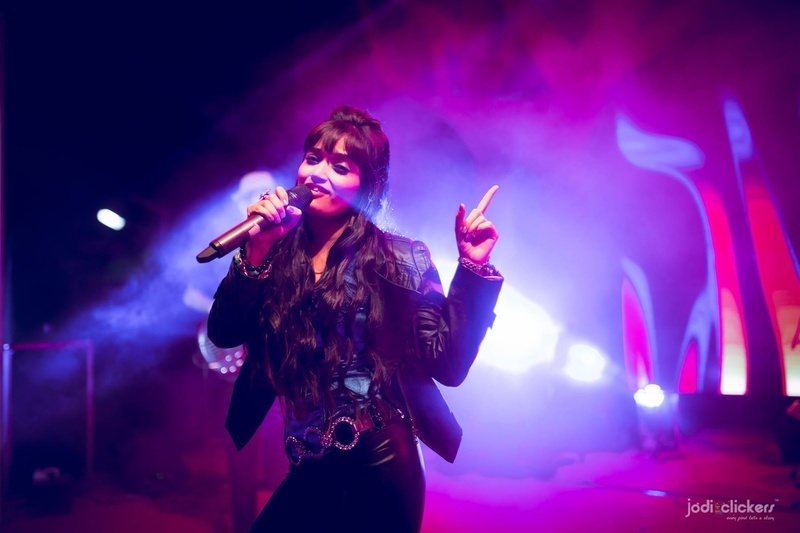 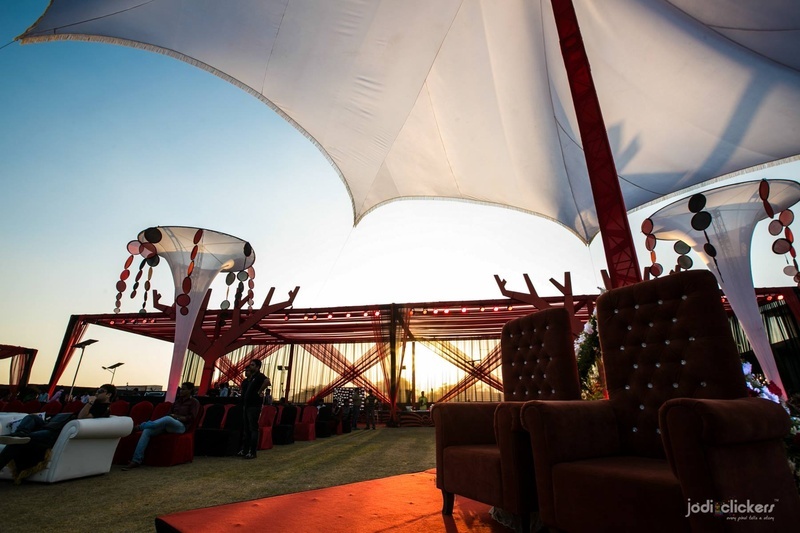 An award function-like stage set up with bright focus lights and stretched white tents and circular decorative hangings. 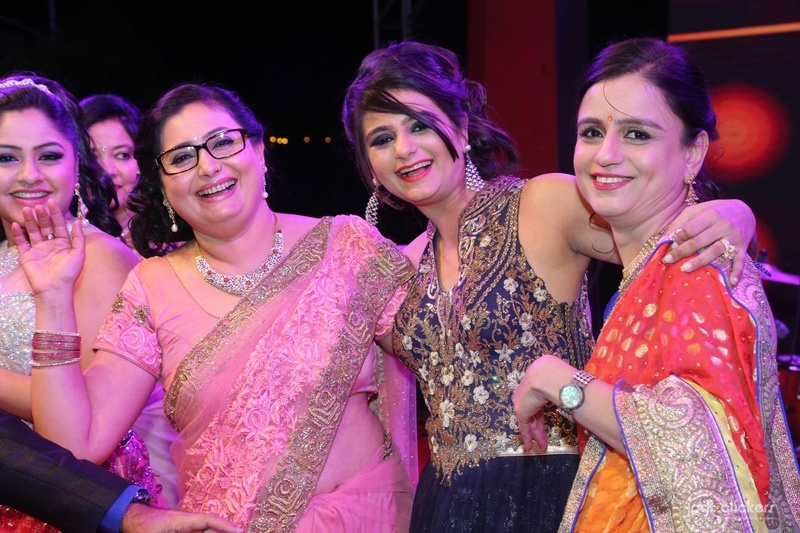 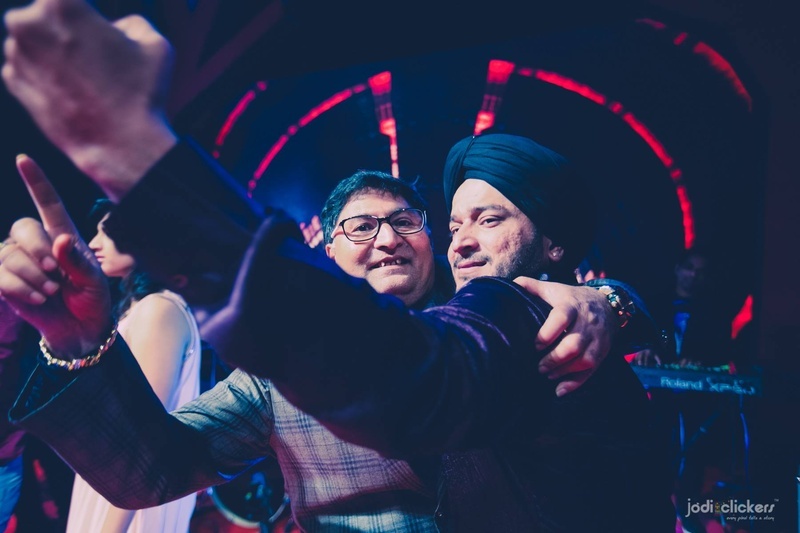 This flamboyant event organized by Saurabh, Fab Events India located in Surat was brilliantly done with each little element. 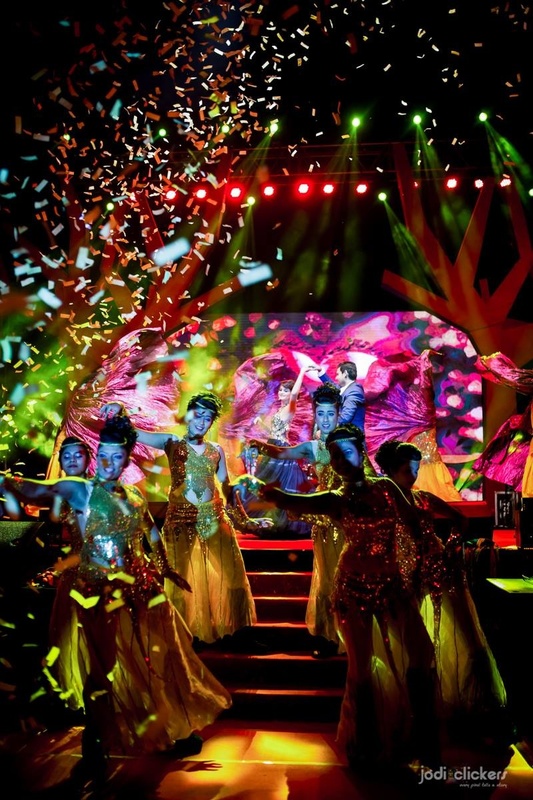 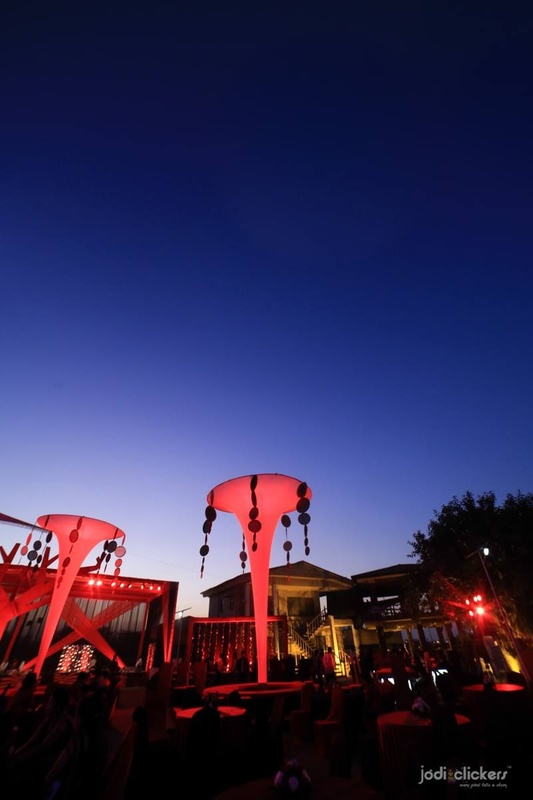 The tree structure props, LED screen backdrop and impeccable use of focus lights and the entire deep red and white theme – each component was ideated and executed beautifully. 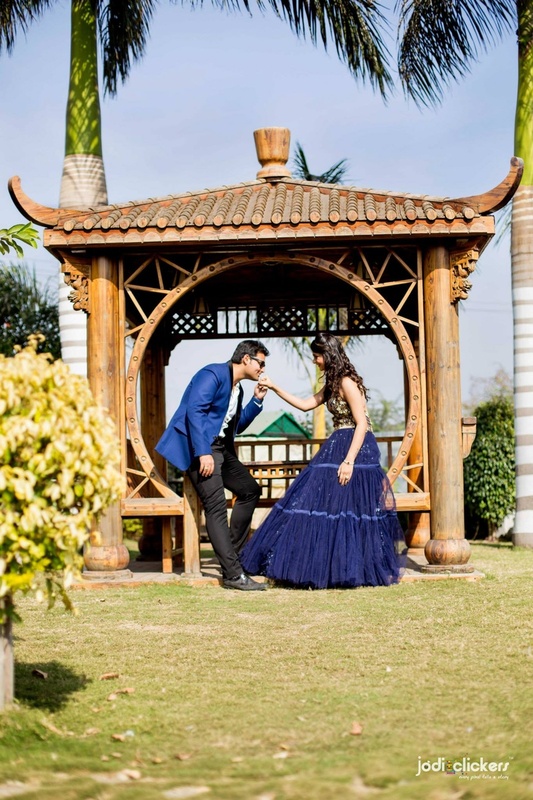 This stunning bride-to-be and her groom wore co-ordinated outfits in a regal hue of navy blue – Aarohi donned a stunning tiered ball gown crafted by ace designers Anjalee Arjun Kapoor. 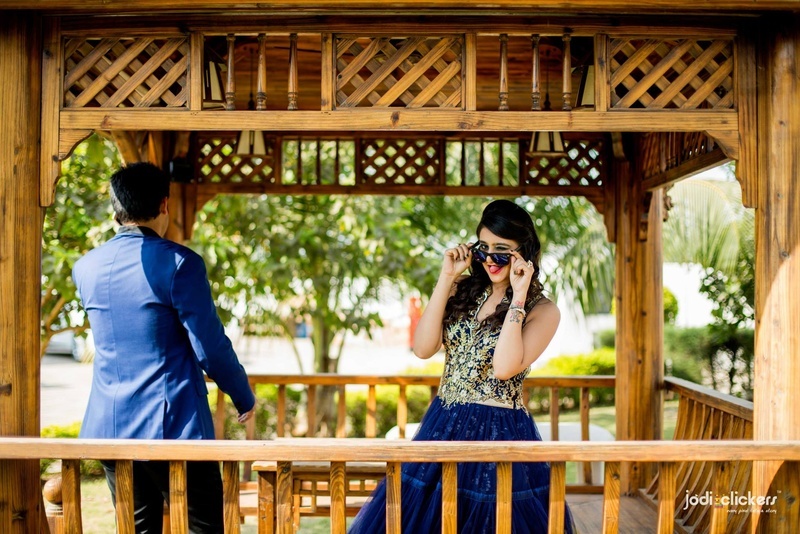 The gown had an embellished gold bodice and a chic cut-out back with the flare of a princess ballgown – Now isn’t that the most ideal way to dress it up? 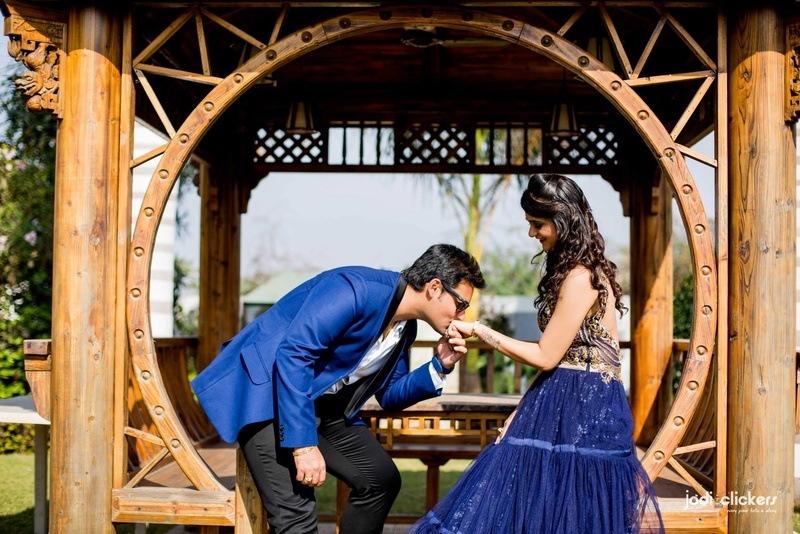 She kept her jewellery absolutely minimal wearing only dangling diamond earrings with this flared navy blue beauty. 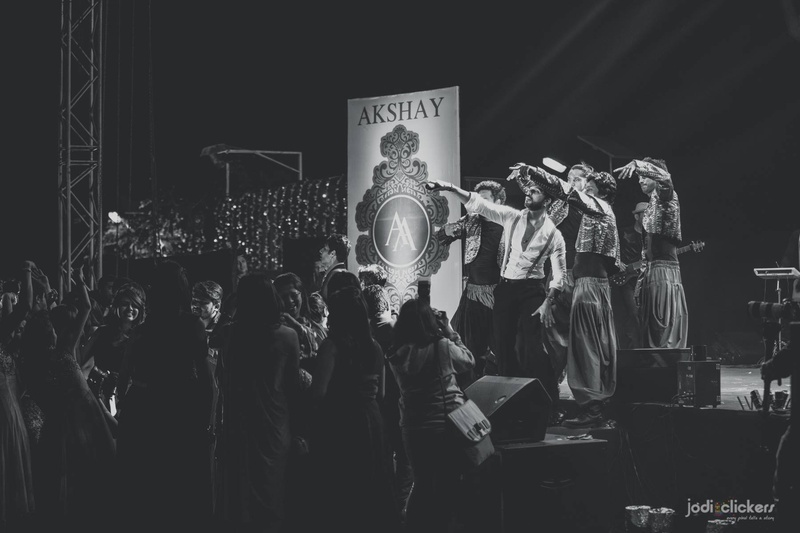 Her beau, Akshay kept it as classic as it gets. 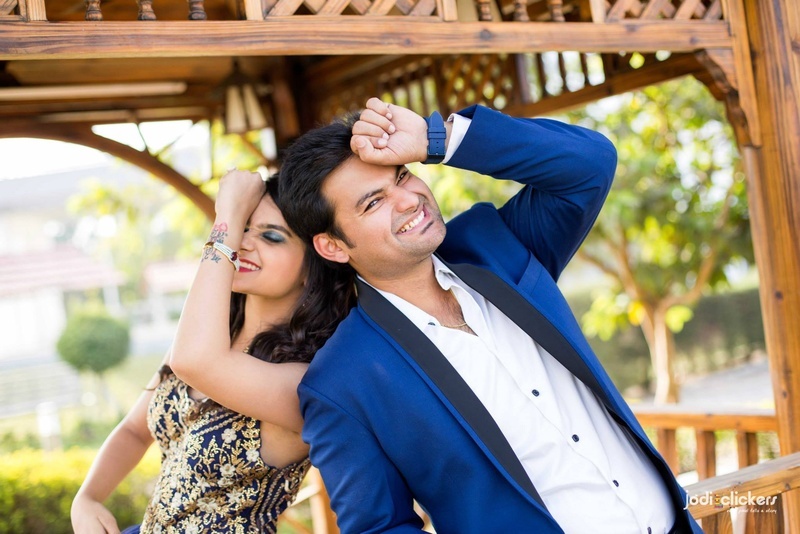 Carbon black pants, a navy blazer and a sharp white shirt was all he needed to make a bold style statement. 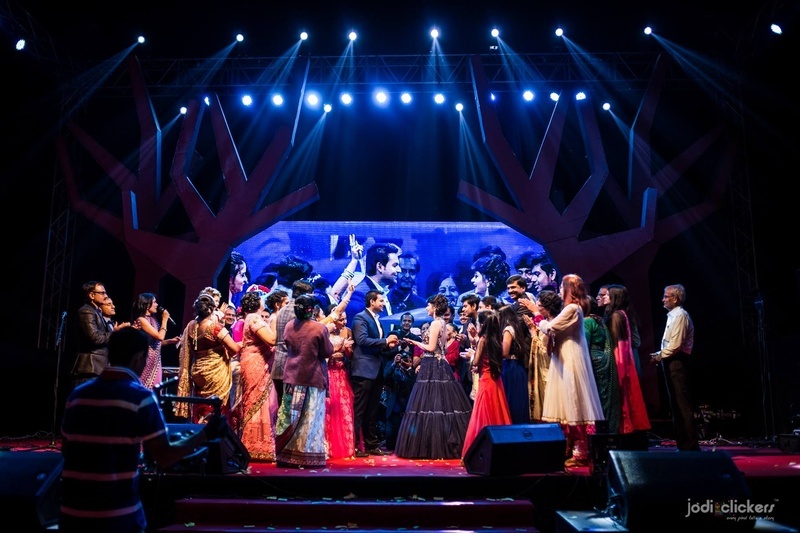 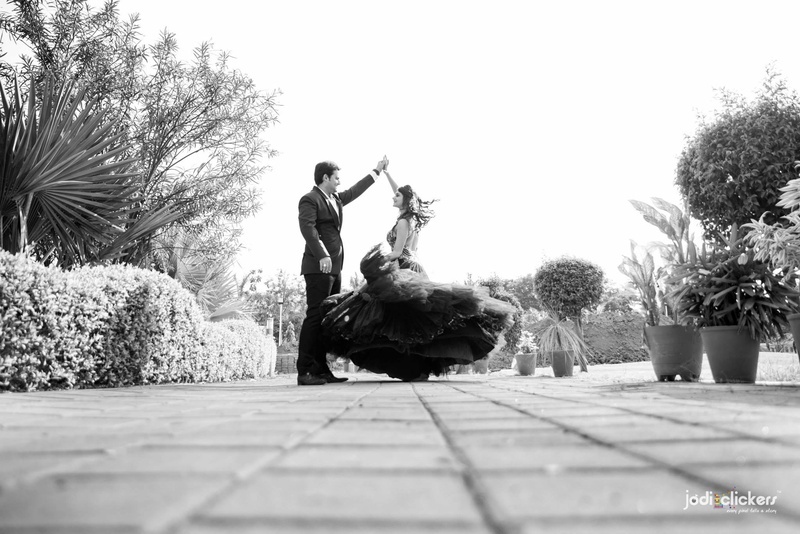 Jodi Clickers captured this extravagant engagement ceremony held at 72 Villa, Surat brilliantly. 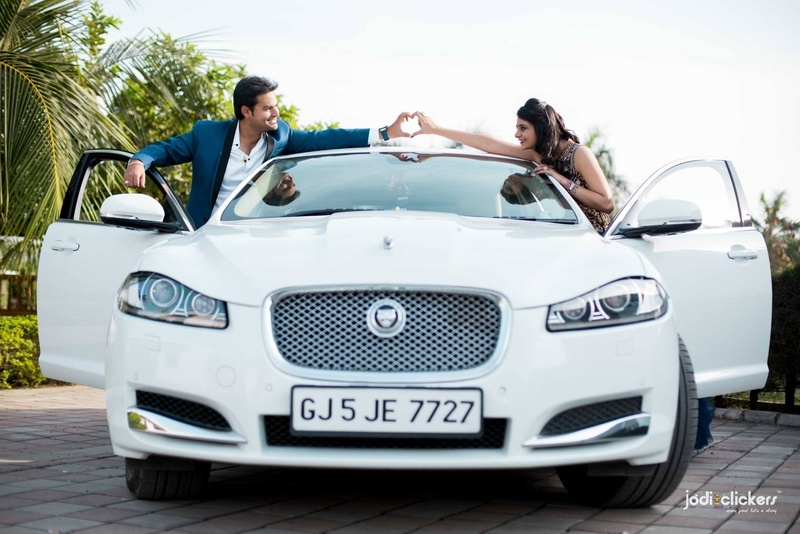 With every photo clicked the grandness of Akshay and Aarohi’s engagement ceremony became more and more evident. 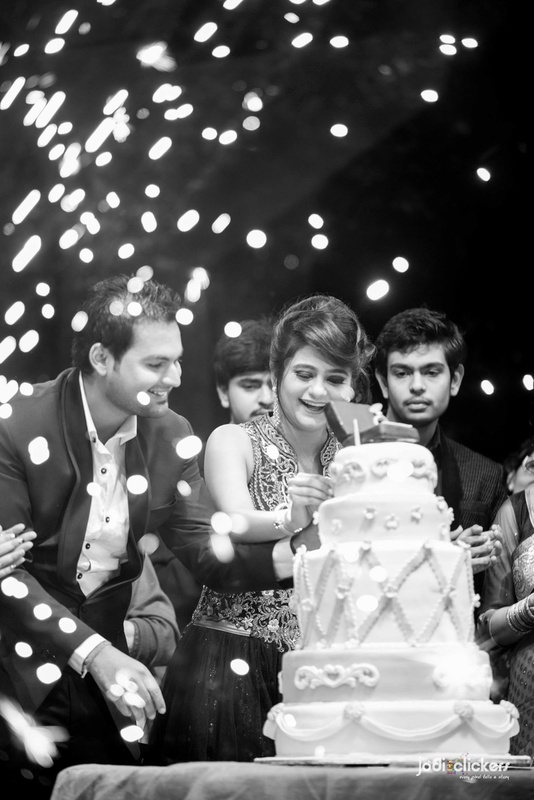 Scroll on to see some moments from their special day!